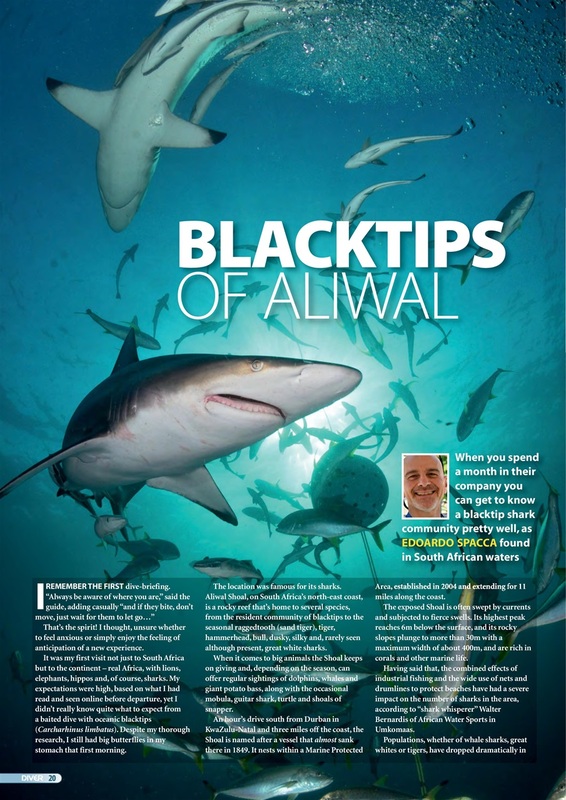 ALIWAL BLACKTIPS – A month in South Africa breeds familiarity. 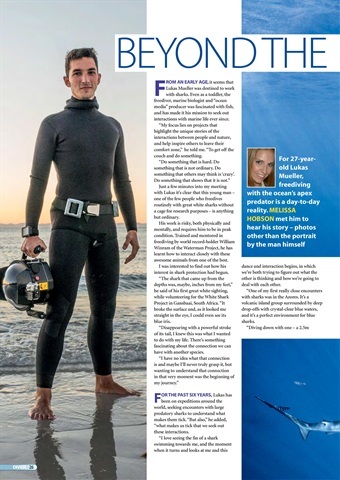 LUKAS MUELLER – Freediving with sharks & rays. 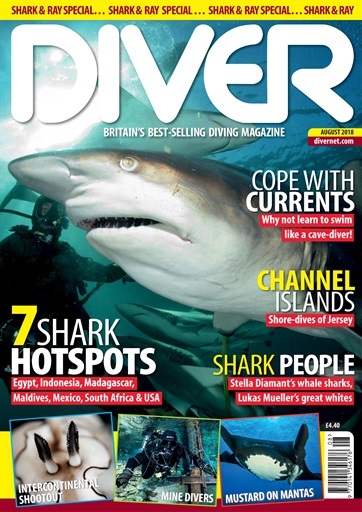 DIVE 2018 – Sneak preview of the NEC Dive Show. 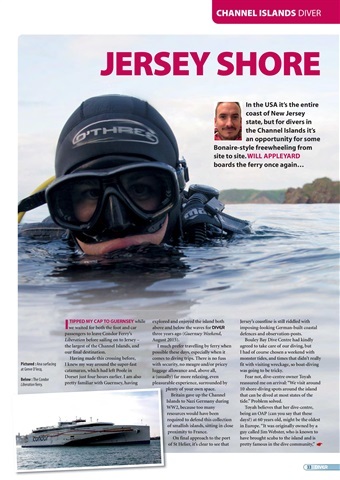 JERSEY SHORE – Ferry-hop to a Channel Islands dive experience. 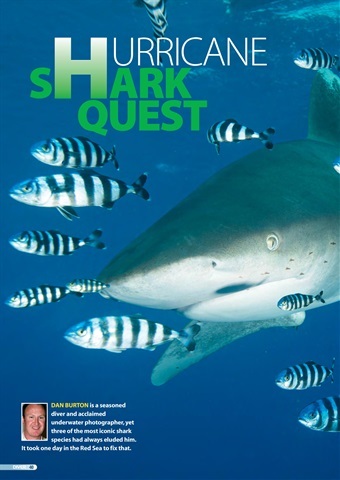 HURRICANE SHARK QUEST – Dan Burton’s in the southern Egyptian Red Sea. 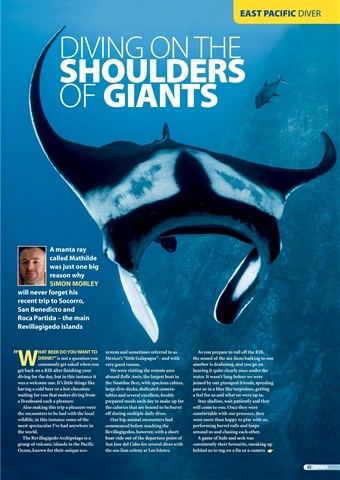 REVILLAGIGEDOS – Where the mantas are the stars. MALAPASCUA – All creatures great and small. 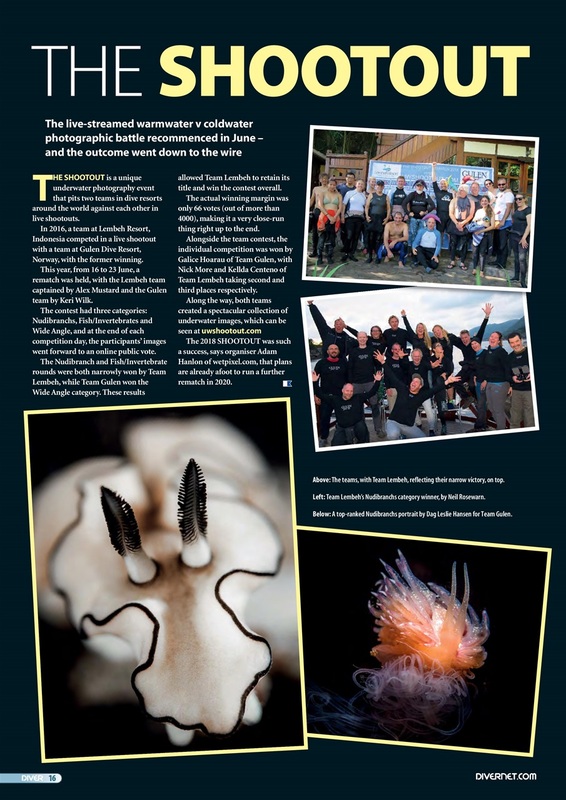 CHERT MINE – From Belgium to Bakewell for a unique dive. STELLA DIAMANT – In Madagascar where the whale sharks are.